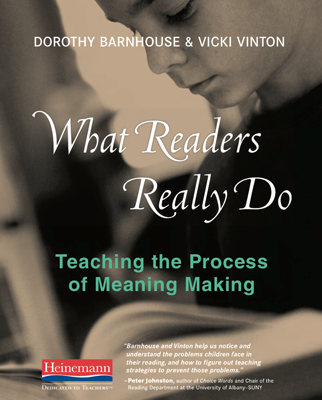 In What Readers Really Do, Dorothy Barnhouse and I break down the work of meaning making into three strands or modes of thinking: comprehension, understanding and evaluation. 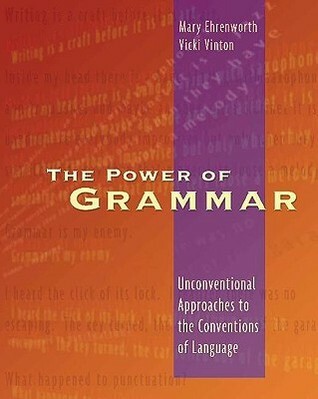 We define comprehension as the literal and inferential sense a reader makes of a text line by line and page by page. Understanding, by comparison, happens when a reader takes what she’s comprehended on each page to draft and revise her sense of a text’s bigger ideas or themes. And evaluation occurs when a reader critiques a text and/or considers what personal or social value it has for him. What Readers Really Do explores what these modes look like in fiction, but readers engage in them in nonfiction, too. And in both fiction and nonfiction, readers move between these modes fluidly and often recursively; that is, they don’t wait until they’ve comprehended everything to engage in understanding. Instead they braid their comprehension, understanding and evaluation together as they read to construct meaning. My hunch is that you answered those questions ‘correctly’ by automatically drawing on your knowledge of syntax—despite the fact that the words were all nonsense. And students frequently do the same, using their syntactical knowledge to provide us with answers they don’t really comprehend. Students also often impose their own knowledge—or what they think they know—on a text without reading attentively enough to see how that does or doesn’t match up to what the writer is saying. Last year, for example, I worked with a group of fifth grade boys who were researching and writing opinion pieces about the benefits of video games. They’d found a great article that explained how video games helped build their users’ visual skills. But when asked what they thought visual skills meant, they said it was the ability to read the smallest line on an eye exam chart. They’d plucked the fact, correctly recognizing they could use it to support their opinion, without really comprehending it. And having gotten what they wanted, they glossed over the part where the writer explored those skills more. Starfish live in the sea. Starfish live deep down in the sea. Starfish live in pools by the sea. Some starfish are purple. Some starfish are pink.
. . . Starfish have many arms. The arms are called rays. Starfish have arms, but no legs. Starfish have feet, but no toes. They glide and slide on tiny tube feet. They move as slowly as a snail. The basket star looks like a starfish, but it is a little different. It doesn’t have tube feet. It moves with its rays. It has rays that go up and rays that go down. Tiny brittle stars are like the basket star. They hide under rocks in pools by the sea. The mud star hides in the mud. It is a starfish. It has tiny tube feet. Setting aside the use of the word ‘pool’ and the puzzling thought of arms having feet, readers must infer that basket stars aren’t actually starfish. Then they must infer that, being like basket stars, brittle stars aren’t starfish either because they don’t have tube feet, which—another inference—is part of what distinguishes a starfish. Only through those inferences would students be able to meet the Reading Information Standard 3, which asks that first graders “Describe the connection between two pieces of information in a text.” And none of the standard comprehension strategies would help them, beyond a generic call to infer. So the question for teachers is, what are we to do? 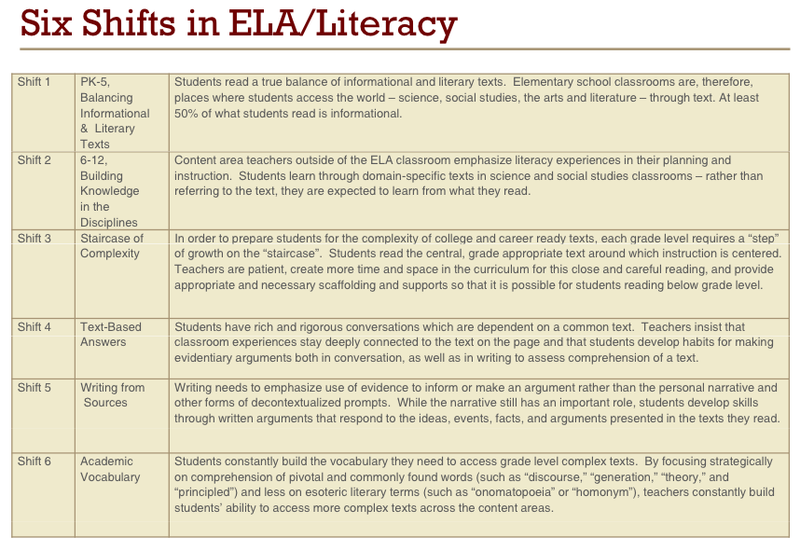 We don’t, of course, have to use the exemplars; they are there as examples of the kinds of texts we should be exposing students to, not as an actual reading list. Nor do we have to meet Standard RI3 with every text we share. Instead, we could use a book like this to complicate and deepen students’ understanding of the difference between fiction and nonfiction, since many young students think that nonfiction always has ‘real’ photographs and only fiction has illustrations. But if we want students to truly comprehend texts like this, we need instruction that helps them be more inquiring and aware of what they don’t get. And this is how a text-based Know/Wonder chart can be as useful in fiction as in nonfiction, as it encourages students to acknowledge their confusion and connect details of a text together in order to infer. Thus students might wonder if starfish really lived in swimming pools, if basket and brittle stars were or weren’t starfish, and why their limbs were called arms, not legs. And they’d be reading forward and thinking backward to consider possible answers.
. . . it’s not about guessing what the teacher wants to hear or about finding a particular answer. It is about the process of thinking, making sense, and persevering in the fact of not knowing exactly how to proceed. Last summer a friend sent me a link to a pair of documents written by two of the authors of the Common Core Standards, David Coleman and Susan Pimentel. Titled “Publishers’ Criteria for the Common Core State Standards for English Language Arts and Literary” for Grades K-2 and Grades 3-12, respectively, they aimed to establish guidelines for designing instructional material aligned to the Common Core. The intended audience was publishers, yet the documents seemed to have major implications for teachers and schools as well, especially those that develop and design curricula and lessons in-house. This section, along with others, has sparked much discussion and debate, especially over whether these documents have veered too far into pedagogy, by telling teachers how they should teach, not just what the outcomes of their teaching should be. But the fact is there’s been controversy brewing over strategy instruction for a while, beginning perhaps with Nancie Atwell‘s 2007 book The Reading Zone, in which she raised some provocative questions about the role of strategies, seeing them too often as distractions or as test prep study skills. I think this happens because we do sometimes teach strategies as a separate body of material—or as I tend to put it, we teach them as ends unto themselves, not as the means to an end. We ask students, for instance, to make connections seemingly for the sake of doing so, not explicitly in order to understand something they couldn’t have without using the strategy. 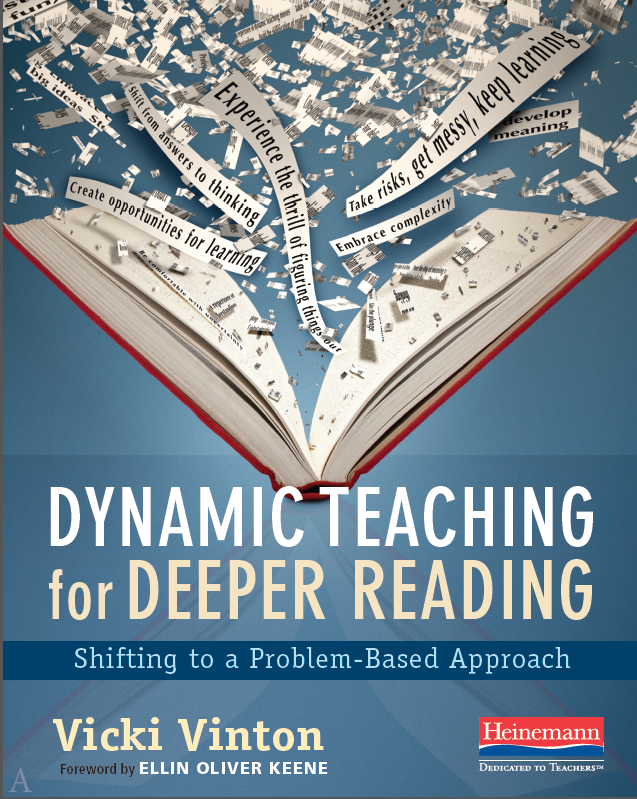 And we often choose books for the express purpose of teaching inferring or determining importance, not because they’re books that do what books do best, expand and enrich our notions of the world and the human experience. In this way, we severe strategies from the strategic end of meaning making, and we risk students thinking that ‘doing’ the strategy is more important than arriving at insight. Eventually, though, I discovered that if I simply asked students to more deliberately keep track of what meaning they were making as they were reading and what they were confused or wondered about (using the KNOW/WONDER chart I shared in an earlier post to make that visible), many students automatically made connections, inferences, predictions and asked questions without my needing to explicitly teach them to do so. It’s what, in fact, I did last week as I looked at the excerpt from Jean Little’s Hey World, Here I Am! I acknowledged that I wasn’t completely sure I knew what that last line really meant, which led me to generate a slew of questions about what it might mean. To do that, I unconsciously drew on my own experience and knowledge of human nature (that is, I made some connections) to entertain some possible scenarios, which also involved some predicting and inferring. But I didn’t set out to connect or predict or question or infer for the sake of doing so. Instead, I set out to comprehend and understand what the author might be exploring, knowing that the details I encountered had been purposely chosen and carried some significance or meaning I needed to consider. And I used those strategies to help me think about the meaning those details might hold. Most students I’ve shared this passage with, in grades four through seven, have done the exact same thing. They’ve developed questions and made connections to infer and develop hunches and drafts of understanding, without an explicit lesson on questioning, connecting, predicting or inferring. And those students who seem hesitant or reluctant are almost inevitably able to get better at it when given more time and encouragement to practice in a small group setting. Finally, I and the teachers I’ve worked with have found that when we shift the focus of our lessons from the practice of strategies to the quest for meaning, students read more actively, with more engagement and excitement because they’re actually thinking. And thinking, as the writer Goethe said, “is more interesting than knowing.” It’s exhilarating, electric and thrilling. It’s the mind igniting with the sparks of insight and discovered meaning.